We know what you’re thinking. It’s a little early to be thinking about holiday cards, isn’t it? But thankfully, these homes in Akron and its surrounding communities are beautiful in every season and perfect for every occasion. They also happen to feature ideal locales for family photos and festive shots both inside and out! Peruse our list to see some of the region’s most stunning homes for sale right now to help you prepare for the upcoming holiday season. Enjoy! At nearly 5,500 square feet, this custom-built Colonial is a year-round haven amongst its wooded surroundings. More than half an acre of lawn, landscaping and mature trees turn into a winter wonderland when the snowy season comes, and the coziness continues inside. 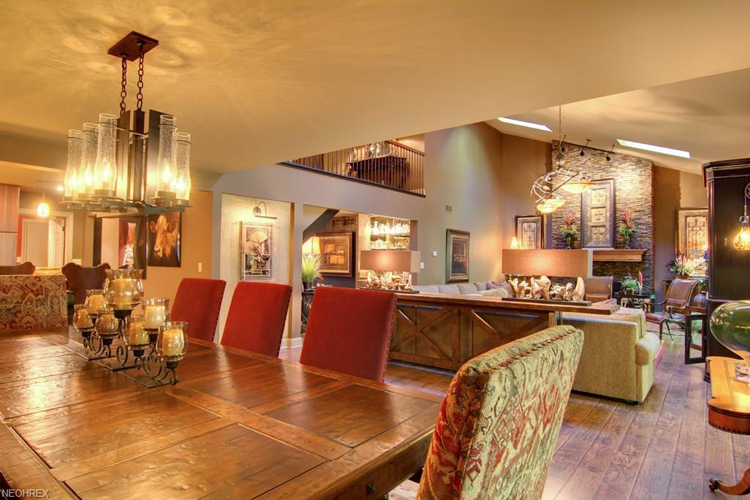 We love the double-sided fireplace that warms both the kitchen and the family room! There may not be another home in the heart of Akron that is as holiday card ready as this one. Completely remodeled, the turn-key condo comes fully furnished so all the gorgeous decor and design you see in these photos can be yours. Whether the family is gathered around the dining table or nestled in front of the living room fireplace, memories (and photos) that are made here will last a lifetime. Whether your holiday card needs a home blanketed in snow, a family photo in the woods, or a shot in front of a cozy fireplace, this home has the perfect setting. 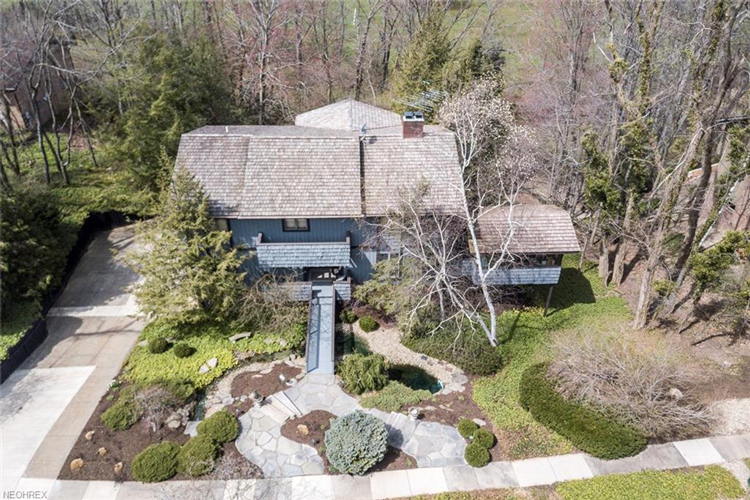 Nestled on more than half an acre, the home overlooks the prestigious Silver Lake Country Club and is surrounded by charming, wooded walkways that wind throughout the property. 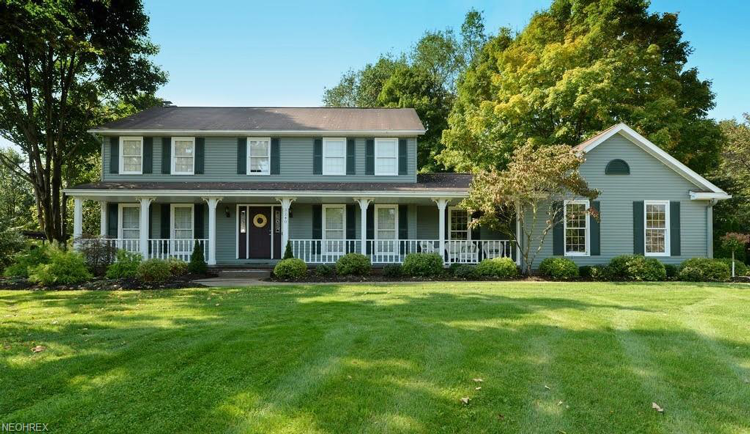 This jaw-dropping Colonial sits on nearly half an acre with a private backyard and a charming cul-de-sac location. 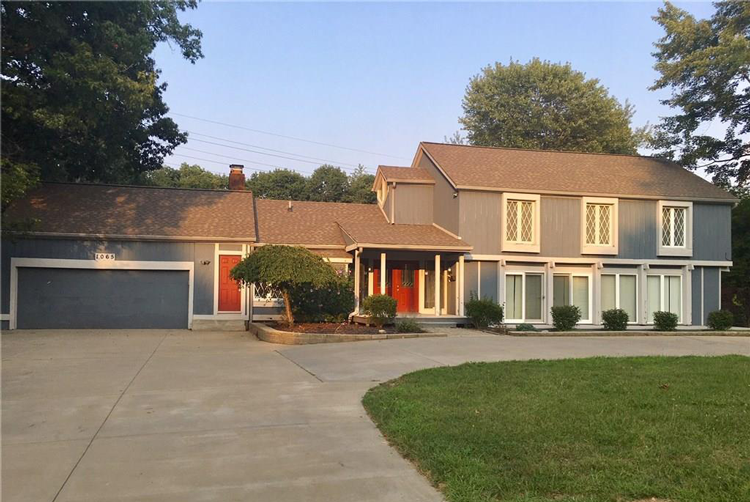 Surrounded by mature trees and a sweeping front lawn that can be viewed from the full-length front porch, we want to take photos of this home in every season. 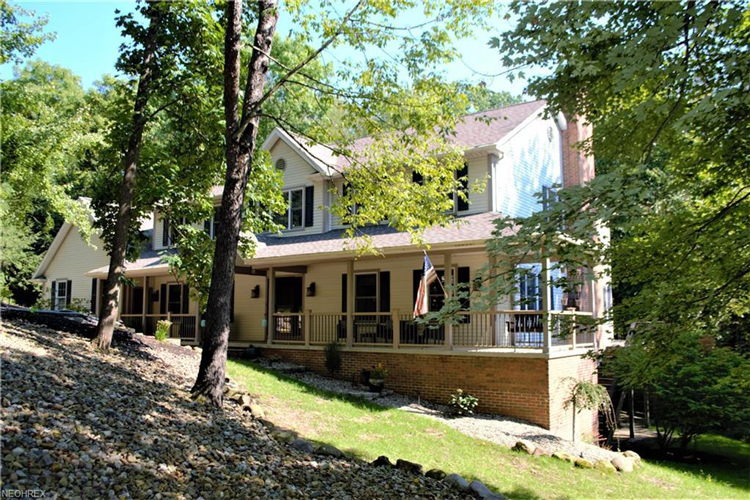 Tucked away in the Cuyahoga Valley National Park, this updated home is situated on a cul-de-sac, and its proximity to the Towpath Village Clubhouse offers a year-round community clubhouse, a pool, tennis courts and basketball courts. Thanks to landscape and decor details like manicured bushes, a front porch lattice and an old world lantern, the curb appeal is high. 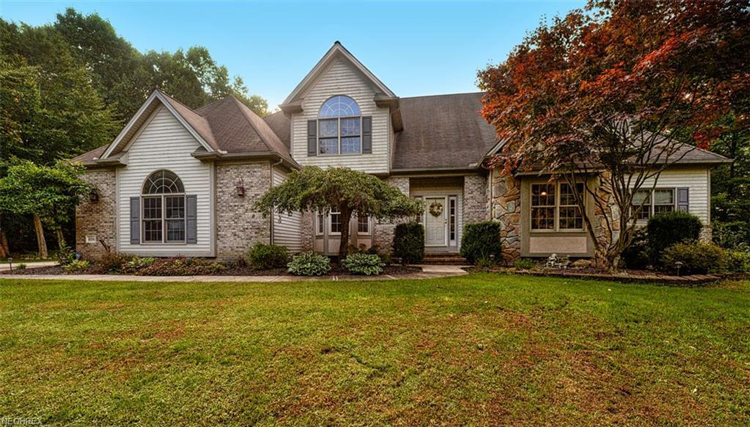 Located in beautiful Cuyahoga Falls on nearly two private acres, this immaculate home is suited for holiday cards, holiday parties, family gatherings and so much more. From the front, the architecture provides a stunning dimension, and inside, you’ll find multiple areas perfectly suited for family photos (like five different fireplaces!). 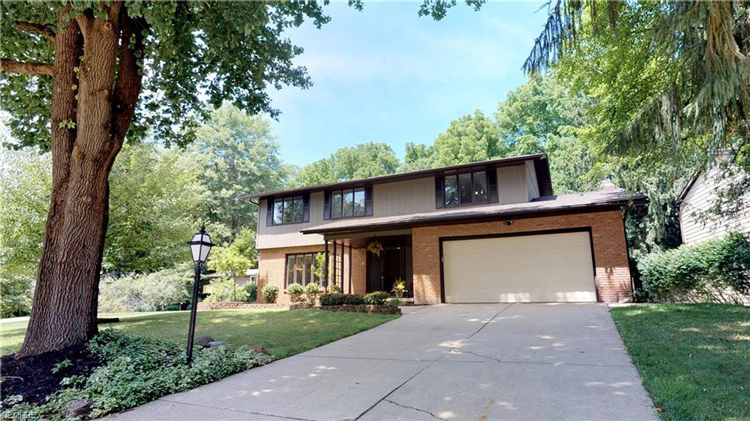 Immaculate from the front and from every single vantage point, this Kent home boasts 321 feet of Cuyahoga River frontage on a quaint, quiet cul-de-sac. The property was even designed to capitalize on views; it offers four levels of tiered decking, a custom waterfall outdoors, a two-story family room with a wall of windows and a walkout lower level with full sized windows, patio doors and a bar. Are you getting fairytale castle vibes from this home, too? From the curb, we love the way the lush landscaping accents the shape of the house as well as the multi-colored brick and stone. And even with mature trees dotting the front yard, there are still gorgeous views available from the home’s huge front windows. Perched on more than half an acre, this stunning Georgian Colonial is located on a private, wooded lot and seems to have come directly out of our home design dreams. 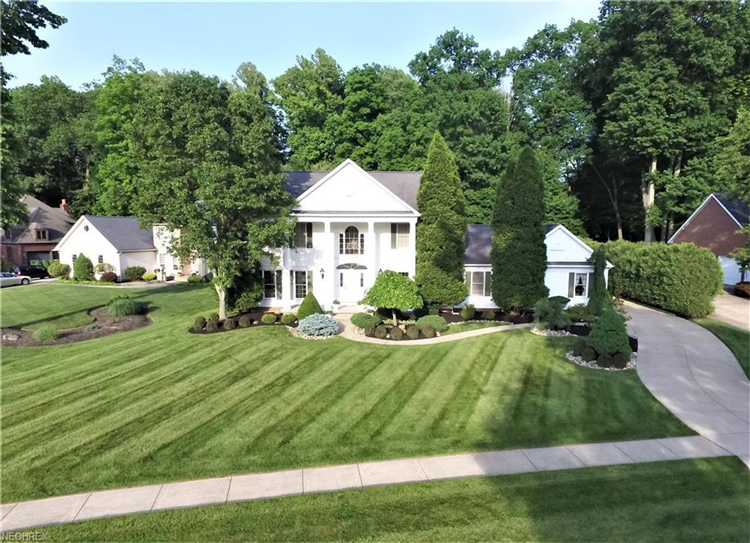 The mature and perfectly manicured landscaping winds around the home and its walkways for a welcoming and warm feel while the beautiful two-story, white columns complete the look of elegance and prestige. There’s nothing more perfect for a holiday card than a bright red front door—and this home’s double door entry has two! The charm is further perfected with white lattice windows and a spacious, winding driveway so the whole family can come over to celebrate the holidays! If you fell in love with a home on this list, let us know in the comments! To see more properties available in the Akron area, use our property search or contact us today.